It is one week from final presentation day. A team turns up in my office for final words of advice. Every project is different. Every team is different. But their concerns this time have a very familiar ring to them. Are they on the right track? How will their sponsor (‘business client’) react to their findings? What to do about what they’ve learned in confidence? To muck about with a saying from that great Management theorist Tolstoi, all teams fail for the same reasons. Each team that succeeds does so for its own unique reasons. So its easier to alert teams for what often goes wrong, than to say what they have to do to get everything right. Their project could stand for hundreds of projects. The tricky thing is to sort out what are the commonalities. What advice from past experience might be extracted, and offered for this particular team? Some team behaviors are right out of Lord of the Flies. Or The Apprentice TV series. The team is to all extents and purposes a bunch of individuals each struggling for individual success. It’s dog eat dog. The design of The Apprentice TV series forces participants to re-enact that familiar drama. One of its messages is personal survival. Survival at all costs. Any collaboration is minimal. There may be a veneer of collective sense of purpose implied in public at presentation time. But it is rather difficult for the dominant and dominating leader to come across as part of a unit which has been able to bring all its talents to the tasks they faced. Lord of the Flies (LOTF) teams can get by. Thre are quite a number among MBA project teams. They tend to ‘stick it out’ and blag themselves to a decent rating in a final presentation, promising thmselves never to work together on another assignment. Decent result for the short-term maybe, but not dream-team behaviors. This team did not fall into the LOTF category. The was no ‘chief honcho’ . No ‘followers’, ‘nodding donkeys’ , or ‘loafers’. Just a bunch of people who seemed to be sharing in a pre-agreed plan. Also, they seemed open to suggestions which required them to re-examine and perhaps depart from elements of that pre-conceived plan. In other words, they showed they were capable of being flexible in response to new ideas. If they behaved that way in my office, there was every chance they had behaved in a similar way at their sponsor’s workplace. When teams present their findings, who are they really trying to impress? This is where The Lord of the Flies analogy breaks down. In Business School jargon, the team is learning to manage across various different boundaries. It is in the later stages of a project that some teams begin to grapple with this. They may well ‘delight the customer’. But the team now realizes there is more than one customer, and ‘delighting’ one may not ‘delight’ another. The team can come to terms with these ambiguities in a final presentation and in their final report. In general, the process is managed by a bit of simplification into ‘who owns the project’, with just a hint of acknowledgement of other interests around. In these projects, the team may have started as if their first contact was their one and only client. Then they found that a more senior figure in the organization has quite different views. In this specific case they had found that there were two sub-cultures in the business, each with differing views about what the company needed to do. There is another boundary to manage. The entire project will be assessed and graded as part of the participants’ business degree. Faculty members will also be attending the final prentation to the client. Incidentally, some students think that makes the whole thing unrealistic. I argue it is only another version of business life, when new team members are open to so-called 360 degree evaluations of their performance. As you consider how to manage those boundaries, you will inevitably begin to consider how to manage expectations of those interest groups. One obvious possibility is preparing in advance, checking out as far as possible the expectations of key players. Here again, it will be a judgement call. My own experiences suggest that successful teams have not just prepared themselves, but prepared the sponsor. But they will also have one or two pleasant surprises up their sleeves. It’s the bad news that is best pre-signalled. A great result will mean that the team will have managed expectations of key constituents including the project sponsor or client. It will have attended to differing expectations, which may be particularly intense at meetings where wider networks of interests are represented. The project task will have been tackled in terms of its objectives. The objectives of an initial brief may have been tested and negotiated. All this may produce a good result. But not a great one. For that, there needs to be something special. A final presentation offers one situtation rich in opportunities to demonstrate excellence. Agagin, drawing on experience, I would say that effective creativity enhances a message and is not substitute for one. A recent example was the ‘pitch’ made to the BBC by the Salford consortium which revealed an exciting vision of the city of the future. The London Olympic bid had an equally powerful video, which switched attention from the event to the children who would benefit from the event. But creativity ‘works’ only if its intended ‘consumer’ buys it. If your sponsor heads up a finance organization, then she is likely to respond differently than would a sponsor from a dynamic and fast-growing IT outfit. Creativity in business will always involve risk and judgement. How might a team get an A for its work? They may increase their chances by concentrating on the primary examiners and trying to find out their particular preferences. But in practice this is never straight-forward. One academic examiner may be highly influenced by the project sponsor. Another may not. It is not unknown for teams to win the active support of their sponsor to lobby the examiners on their behalf, only to find that may have the contrary effect to the one desired. This team had got to the point of realizing that ‘getting an A’ should not be the only or even dominant objective as they reached the end of the project. They would take it as an opportunity for testing their own skills in business projects, and for discovering how they might work as a team for future challenges. Even for having an enjoyable experience in the process. Now that’s something they can self-assess as an A.
I’m aware that the content of this post hardly toches on leadershp. A few ‘don’ts’, perhaps. Don’t be a bully. Don’t encourage Lord of the Flies behaviors. By implication I have been making a case for a creative leadership style touched on in an earlier post. In these MBA projects, leadership is more obviously a task distributed across team members. Nevertheless, there may still be a valued place for an individual who may have earned the right to be the most prominent team member in decisions and in those boundary-spanning situations in which expectations are tested. You have won an exchange visit to a School in a foreign country. That’s the good news. But how will you break into the culture in teams that have already formed among your new classmates? How can you fit in? You have to work out quickly what works for you. Here’s a learning aid which helps. On boat race weekend in England, I looked at how Cambridge might have applied business school theory to help win the boat race. Well, they won the boat race. That doesn’t ‘prove’ anything about leadership theory. But it did encourage me to think about applying a little more practical advice to students on exchange. This is one of the times of year when students arrive ‘on exchange’. For many, a big issue will be how to fit in with their new classmates. I want to concentrate on exchange students who find themselves working with other students on a common task, such as a business school project. The British saying applies to each one: ‘you are all in the same boat’. First, a general observation. I have been able to help quite a few exchange students over the years. The ones who really struggle have a few things in common. The first is that they fall under the influence of a dictator. The dictator is the workload they find themselves dealing with. Like other dictators, the power is partly exercised by compliance of the people. We conspire to create the dictators we deserve. This is mostly an unconscious process. As someone becomes more under pressure, the tyranny appears more intolerable. There are ways you can make it easier on yourself. First, let’s cut that tyrant down to size. Remember those childhood monsters? What helped you grow out of their tyrannical power? There’s a Government campaign in the UK. Ordinary people have a tyrannical demon, a gremlin which holds them back. The gremlin in the campaign is the fear that a weakness is holding you back. In that case, it is fear of failure. The objective weakness is being unable to read. Behind that, the weakness is having to cover it up. The objective ‘solution’ in the campaign is for the poor reader to take an evening course. The psychological message is to confront your gremlin. Are you making it worse by not admitting what your problems are – to yourself and to other people? In other words, it is you who are making the task tougher by supporting the tyrant. You can do something about it. There will almost certainly be someone you can learn from. ‘I’m not like her. I’m different’. For sure. And there are ways when there are enough similarities for you to learn from other people. Otherwise you have learned from yourself, but you’ve learned mostly that there’s nothing you can learn to change things. That’s called learned helplessness. Take a look at a few other students who seem to have good ways of beating your particular gremlins. You are in the same boat. Here’s a technique that works for a lot of people. It requires you to find a metaphor or different map for your journey. It has been used for thousands of years in various ways in various cultures. One leadership development textbook is based on the steps of such map reading, map testing and map making. But reading a whole book might be too much of a concession to your gremlins at present. So I’ve come up with a speed-dating version. All you need is five minutes to put your thoughts to the little mental exercise I’m about to describe. Just promise yourself you may find something worthwhile in the process. Imagine your favorite team sport. Imagine you have moved into a new town in a new country. You contact the town’s club in that sport. When you visit the club, you really like it, and want to join. Joining is mainly getting signed up. But now you want to become a member of the first team there. You are invited to a trial with that team. But everyone else has already played on the team. You have trouble even communicating in their language. (Did I mention that?). So what do you do? Now imagine you succeed, and become a much-admired member of the team. What steps did you take to do that? Now how about that exchange team you are joining? What lessons can you import from your metaphorical journey to help you join a project team during your exchange? It worked in your imagination. See how to make it work in practice. Please suggest any ideas you think would help others. From you own experience, or just because you want to take part in a discussion. What sport did you chose? What surprising insights did you gain from the map-making? This post, in particular, will benefit from a community exchanging ideas. 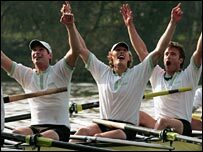 Odds-on favorites Cambridge University lost last year’s boat race against ancient rivals Oxford. This year, the light-blues have been advised to follow Business School theories for coping with the heady mix of individual ambitions and team spirit. We assess whether the ideas hold water. 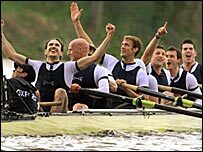 Last year Cambridge lost the annual varsity bragging rights on the Thames. Defeat sometimes sharpens the appetite for new ideas. According to this week’s Economist, Cambridge Coach Duncan Holland has been assisted by Mark de Rond from Cambridge’s Judge Business School. Mark is an American strategy theorist who is tipping his toe into more behavioral waters here (I can’t get away from aquatic imagery at the moment). The article goes on to mention a recent idea on how members of organizational work teams relate to one another. The authors studied four organisations – one which is profit-motivated, one non-profit, another large and the fourth, small. No matter which organisation they studied, they found that everybody wanted to work with a lovable star and nobody wanted to work with an incompetent jerk. They say things got more interesting when people faced the choice between competent jerks and lovable fools … surprise, surprise, the two researchers found out that the reverse was true in the four companies they analysed. The competent jerks represent an opportunity for the organisation because so much of their expertise is discounted. The research study is presented in the form of the two-by-two matrix. As a teaching and diagnostic tool the two-by-two is among the most popular ways of helping people escape the ‘either-or’ trap and think in more dimensions. After a while the experienced management trainer becomes adept at turning any relationship between two variables into a two-by-two format for teaching purposes. (Try it for yourself, if you don’t believe me). For example, in the famous management matrix by Blake and Mouton we can explore more deeply the interplay between task-oriented and supportive preferences of leaders. This new two-by-two contrasts high and low likeability and high and low competence. As with the Blake and Mouton matrix, this immediately makes sense to many people. The four boxes are nicely labeled. The simple idea simply expressed has another nice wrinkle. It gets to the trade-offs and dilemmas when people have to chose between workmates they believe to be one or two dimensions short of being a likeable and competent star. Will the model stand the test of time? Casciano and Lobo have got their idea off to a good start. It has every chance of being a fashionable concept which works its way into Organizational Behavior (and Organisational behaviour) textbooks. After which there is a mimetic force at work. Does the theory extend or challenge sound organizational theory? Not really, but that is to be ungracious. At least, it has several features of earlier successful ‘thought leadership’ stories. The publication in the prestigious Harvard Business Review will do its prospects no harm. Will it help Cambridge win the boat race? I can’t quite see it. 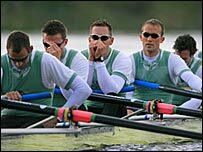 In the boat race, the rowers have all already have been selected as highly competent. There’s no rowing incompetent among the candidates for the top boat. Actually, the article implied that there was, mentioning one rower who is a not the technically most-gifted and yet who is much liked and a motivational character. I’m not sure how the Cambridge business coach got that message across (unless, of course he is himself a highly competent and likeable star; neither a competent jerk nor a likeable fool).